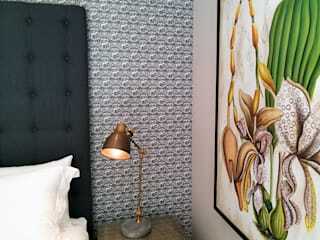 All of our wallpaper is custom printed to client wall dimensions. This saves waste and makes the whole process much easier. All you do is give us the width and height of your walls. We create the panels in the most economical way, with the correct heights and ensure easy application with perfectly matching joins. This of course also means that we are able to customise colours for you as well as adjust the scale of the pattern for a perfect room fit.